Steven is Professor of English at Kingsborough Community College, City University of New York, and writer of several interesting articles in Trollopiana. This project began in 2002 when I received a generous grant from the City University of New York to study the manuscript of The Duke’s Children, held at the Beinecke Library, Yale University. At that time I had no thought of actually reconstructing the book and no sense that such a project was desirable or even doable. I merely wished to write a lengthy article, because I knew there was a lot to be gleaned about Trollope’s craft from this manuscript. As I studied it in 2002-2003, I became increasingly excited, and presented my research at the annual lecture of the U.S. Trollope Society that autumn; and then in early 2004 gave a three-session seminar at the Society about the cuts and their effect on the novel. At this point I was hemming and hawing; a lot of people urged me to restore the complete novel, and I wanted to but wasn’t sure I could make the commitment. Bob Wiseman, a retired librarian, participated in that seminar along with his wife, Karin, and he came up to me, I think at Karin’s urging, and said: do this, I will help you, which he did every step of the way. Without him, I may never have started this reconstruction; without him, I know I never would have continued until the end. In 2006, not long before I was scheduled to present a paper on The Duke’s Children at the University of Exeter’s Trollope conference, I received an e-mail from Susan Humphreys, who had written a Dissertation on Trollope’s working methods and eventually come to run a publishing house out west with her husband. We corresponded, spoke on the phone, and then she decided to come to Exeter for the conference and to meet me. We bonded immediately, and she too offered to do what she could to help. She was invaluable at innumerable points, most crucially in the second phase. She flew east for a number of ‘summit’ meetings where the three of us talked about so many aspects of the book, and was in charge of finding a publisher. Through her efforts we have formed this very fruitful collaboration with both the Trollope Society in England and the Folio Society. There were three main phases in the editing process. First, using the text online and a photocopy of the manuscript (later turned into a PDF) supplied by the Beinecke, we made an initial effort to reconstruct the complete novel. The focus then was trying to ascertain, without getting too bogged down, what was underneath the thousands of crossed-out words in a manuscript of over 1,000 pages. (If Trollope used a straight-line cross-out, it almost always meant a space-saving cut. On the other hand, a wavy-line cross-out signified a ‘regular’ editing change, one almost surely made in 1876 as he was writing or proofreading). In the second phase, we went through the manuscript once again, this time with extensive back-and-forth discussions about the reconstructed text. Though we had had some of those discussions the first time around too, we were now fully focused on getting every last detail right. In this second phase we were able to go back to the manuscript, a year or two or later, with relatively fresh eyes; and indeed in a number of cases we were able to correct our own previous mis-readings, or fill in readings we hadn’t figured out the first time around. By the end of the second phase, we had what we felt was a highly accurate version. Third was the collation: checking our complete text against the first edition of the novel published by Chapman & Hall in 1880. The aim here was to account for, and include, changes that Trollope would have made or sanctioned in proofs. Let us look back to the 19th century. It took Trollope six months in 1876 to write The Duke’s Children, immediately after finishing An Autobiography, a book he always intended to put in a drawer and publish posthumously. He put The Duke’s Children away too, but not for the same reason. Rather, his writing had not sold well in recent years; perhaps he hoped for a better deal if he waited awhile. Instead, the dreadful reviews and sales of The Prime Minister in 1876 sank his reputation further. In 1878, Trollope must have been relieved that the prestigious All the Year Round, edited by Charles Dickens Jr., was willing to serialize the novel in weekly instalments. Yet Dickens was apparently not willing to publish such a long work, and to accommodate him Trollope made massive cuts. The novel appeared every week in All the Year Round for nine months beginning in October 1879. When Chapman & Hall published the first edition in 1880, it was in three volumes, not the four that Trollope had originally produced. In this new ‘complete’ edition, there are no new characters or plotlines, but there are a lot more words: about 65,000 of them – 22% of the book as a whole. Now, as you know, we already have a lot of words in print by Trollope – many millions of words. It’s nice to have another 65,000 if acquired easily – but they couldn’t be acquired easily. Rather, though, there were a number of difficult editorial issues involved, the fundamental problem being Trollope’s handwriting – wretched at this stage of his career, made even more wretched with lines running through the words needing to be deciphered. Page ? above shows a typical example, and there are over 1,000 pages just like it. So why bother? Why wasn’t a lengthy article good enough? The answer is simple: I discovered that page by page, paragraph by paragraph, often even line by line, the original version was superior to the edited version; not merely superior but also the book Trollope wrote and intended to publish. And, since this is not any old Trollope novel but the final work of his famed Palliser series, one that has always physically looked a little puny compared to The Prime Minister or Can You Forgive Her? (or, outside the series, The Way We Live Now and The Last Chronicle of Barset), I felt that to reconstruct the book would be an act of justice. The complete Duke’s Children is richer, more complex, more Trollopian than The Duke’s Children that we’ve always known. There’s one more thing to say before I talk about some of the cuts themselves. I want to acknowledge that Trollope did a remarkable job editing The Duke’s Children, especially so given how new a practice this was for him. Trollope spent two months in 1878 cutting it down, and the shorter novel flows smoothly. Indeed, I would suggest that if he hadn’t done so well, if he’d made a hatchet job of it, someone before me now would have reconstructed the complete novel. There would have been an obvious pressing need to do it, and someone would have done so many years ago. Also, given how Trollope constantly tried to keep his mind, and thus his writing, fresh by looking for new challenges, it is conceivable that he took satisfaction in devising ways to cut The Duke’s Children without fatally damaging it. But he would not have fooled himself into thinking that he was thereby improving the novel. He happens to be referring specifically to plot in this letter, and explaining why he doesn’t fool around with the narrative structure once he builds it. But the “infinitesimal allusions,” the “small … links” operate on other levels too. Time after time we see how a cut hurts the quality of the elaborate tapestry Trollope created, how echoes and connections are lost or diminished. We see a tremendous diminishment of the political element of the novel – huge cuts throughout the book. 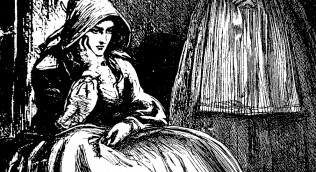 Trollope’s delicate manipulation of tone is altered; many moments of humour are lost, but also many darker moments too. Or perhaps I should just repeat one word: details, details, details – that make the setting more animated, or are more specific about place and time, or affect the pacing of the novel, or hurt the sound of a sentence. More than anything, it’s the details of characterization that matter most, cuts that flatten the characters, or at least make them less vivid than they were before those cuts were made. Examples of both large and small cuts are: Gerald smoking with his brother at the end of the novel; Isabel reassuring her mother before getting married; the Duke promising to think about a date for Mary and Frank’s wedding; repartee between Isabel and Silverbridge; Major Tifto changing his name and becoming respectable; Silverbridge’s letter to Sir Timothy Beeswax; Mrs Finn’s first impressions of Frank; Frank refusing to train for a profession; Frank’s advice to Silverbridge; Major Tifto’s encounter with the Duke; rapprochement between Mrs Finn and the Duke; Mrs Boncassen’s self-awareness; Miss Cassewary’s difficult life; the Duke’s loneliness; the Duke’s wish to see Alice Grey. I made all final editorial decisions, but only after much discussion. In the process, I compiled hundreds of pages of notes, a version of which I plan to publish online within the next few years. Editing is a fascinating, tricky and highly contested endeavour. I established and follow clear editorial principles, but I also felt it was important to be pragmatic and to deviate from those principles occasionally. No one will agree with every single decision, but I do wish to be transparent on the website about what those many decisions were and why I made them. I will also give commentary on every page of the manuscript, and add to the already hefty apparatus that Bob Wiseman put together for the Folio Society showing important cuts from each chapter. In short, there is more work to do. Trollope’s book itself, however, is ready to be published. A few of the challenges we faced in getting to this point, besides the fundamental challenge of deciphering the handwriting, was the recurring difficulty in assessing the status of additions that Trollope included on the manuscript. Usually these were replacements for the cuts to provide, in a condensed form, crucial information. Yet it was not always obvious that these were in fact replacements, especially when they appeared far away from the actual cut. For, as can be seen on his other manuscripts, Trollope did also add words for clarification or nuance. Another difficulty was answering the question, what would Trollope have done? That is, if he had not cut something and then seen it in proofs, what changes would he have likely made? I tried to be careful and not become too aggressive in imposing alternatives; on the other hand, I felt it would be unfair to Trollope to print every single crossed-out word, no matter how clunky or just plain wrong. There were many other decisions to make regarding substantives, but the one that was most charged, and headache-inducing, was punctuation. There were, I thought, two reasonable approaches, neither ideal: follow Trollope’s manuscript, except where the punctuation was unquestionably unfeasible, or follow Chapman & Hall, which respected most of the idiosyncratic decisions Trollope made but also did a fair amount of editing. I ended up with a compromise which resulted in what I believe was the best solution (for this particular author, and maybe no other): using Trollope’s manuscript punctuation for dialogue, and Chapman & Hall for narration (with exceptions in rare cases if the punctuation in either caused the reader to stumble). Too much flavour is sacrificed when the punctuation is smoothed out and such things as comma-dashes and semicolon-dashes become just plain dashes, as occurs in All the Year Round and in the Trollope Society edition. Yet while Chapman & Hall made sensible, and mostly welcome, changes in the narration punctuation, over and over again they misunderstood the particular nuances that Trollope was trying to convey in his dialogue. In order to get this right, I had to check, and then re-check, the accuracy of at least 20,000 punctuation marks (a conservative estimate) from the manuscript and first edition – perhaps not the most exciting part of this project, but for me not entirely unexciting either. The fact is, this was a labour of love from start to end, motivated by my conviction that the restored Duke’s Children would enhance Trollope’s position in the literary pantheon. 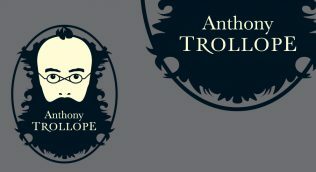 Yes, I will say it bluntly: I am a Trollope enthusiast. Which doesn’t mean I suspend critical judgment; I can talk exhaustively about his shortcomings, about what I think succeeds and doesn’t succeed in all his writings. 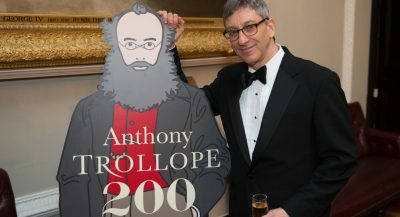 Nonetheless, I do believe that Trollope deserves to be seen as one of the greatest novelists in the English language. Out of 47 novels, several dozen are thoroughly first-rate, as is his autobiography. Even his failures – and here perhaps we can include his travel books – are worth reading. North America (1862), for instance, is dull, but dull in the most fascinating way, as Trollope put his burgeoning career as a novelist on hold for close to a year to try to make amends for his mother’s Domestic Manners of the Americans. It so happens that I live a few blocks from the Park, and some of my most glorious hours working on The Duke’s Children were spent there when the weather was mild. If I could speak directly to Anthony now, I’d say: I wish you could see Central Park now, all grown up; and I wish you could see your Duke’s Children, stout and healthy, just as you had always envisioned. 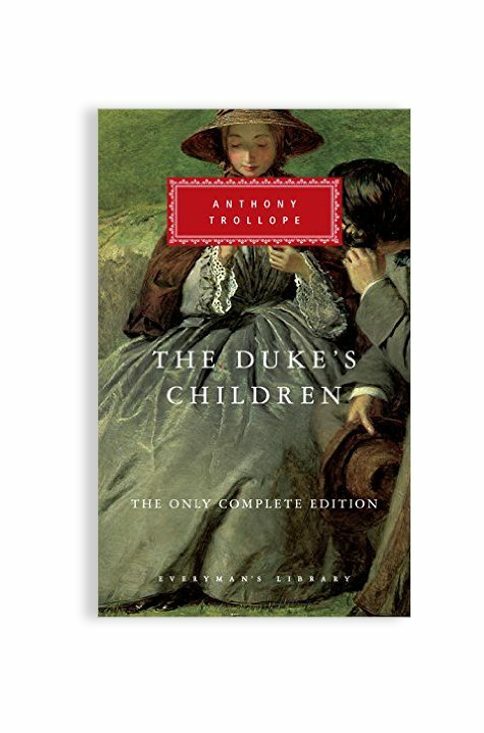 Purchase the extended edition of The Duke’s Children, published by Everyman’s Library, from the Trollope Society Shop.